I am going mum.... I am going.... you cannot stop me. It's good to teach them early! So helpful! 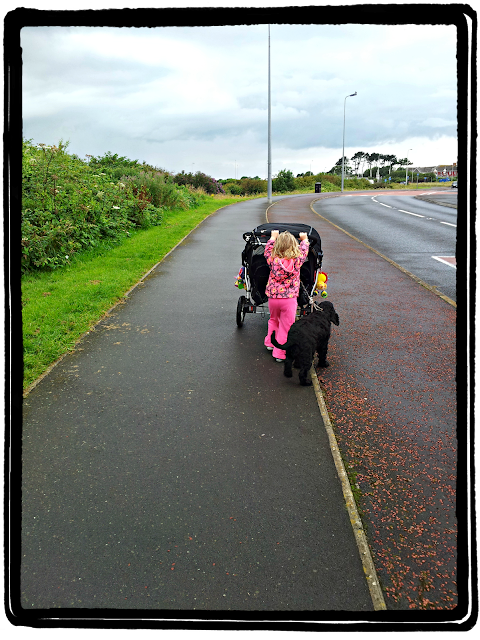 And multi-tasking too, pushchair AND dog walking! Starting work young - childminder? dog walker? Big sister doing a grand job there! Great picture! They love to push the pushchair don't they. Great picture. Clearly an independent young lady. I have one of those too! Aww bless her. My little girl loves to push our buggy too. Oh my toddler has been insisting on pushing his sister's pram today too!